You can buy a used server and run the lab in your home, but you need to consider hardware costs, license costs, energy costs and noise. Fortunately, these days you can use cloud services for hosting your lab. By using cloud services, you don't have to deal with hardware, you will pay only for the resources you are consuming (Virtual Machines are billed per-second, for example), and you can cancel it when you don't need it any more. In addition, you can access your lab from any place in the world (only internet connectivity is required). 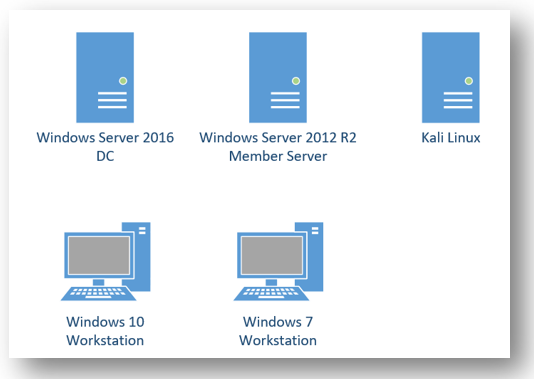 This blog post covers building your lab in Azure. I am usually not testing other versions of Windows, unless I'm looking for a specific OS issue. I should also mention that Windows 7 and Window 8.1 virtual machines in Azure can only be used by MSDN subscribers. These are just estimations obviously. You can save money by choosing a smaller instance size or using reserved/burst instances types. At the end of this post you will have fully functional Active Directory security lab. Using Azure to create and manage resources is easy, but we need to consider some aspects of the Azure platform before building our workloads. Without proper planning we may need to redeploy some workloads in the future, so let's avoid it as much as we can. After ramping-up with these resources, please login to the Azure portal. use VPN to connect the VMs it is important that the portion of network addresses that you assign to Azure do not conflict with existing on-premises address ranges. 7. Now we have a resource group and a Virtual network, and the next step will be creating the Virtual machines inside these resources. 15. 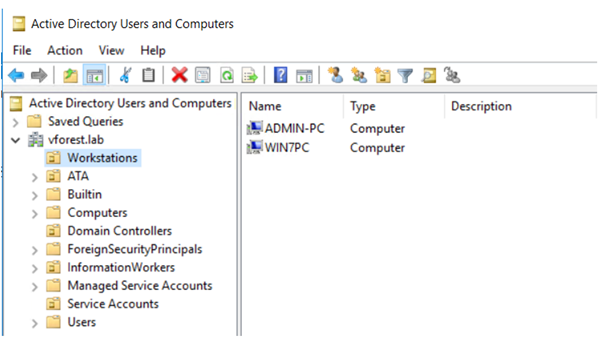 Configure static IP address for the Domain Controller machine – Domain Controller must have a static IP address, you need to configure it using the portal and NOT by editing the IP configuration inside the virtual machine. rollbacks. We will attach new disk for the database and leave OS disk with default caching. 27. When you logged in, open Computer Management from Server Manager tools, and select Disk Management. You did it!! You should have Active Directory domain with additional 3-4 hosts set up in Azure.